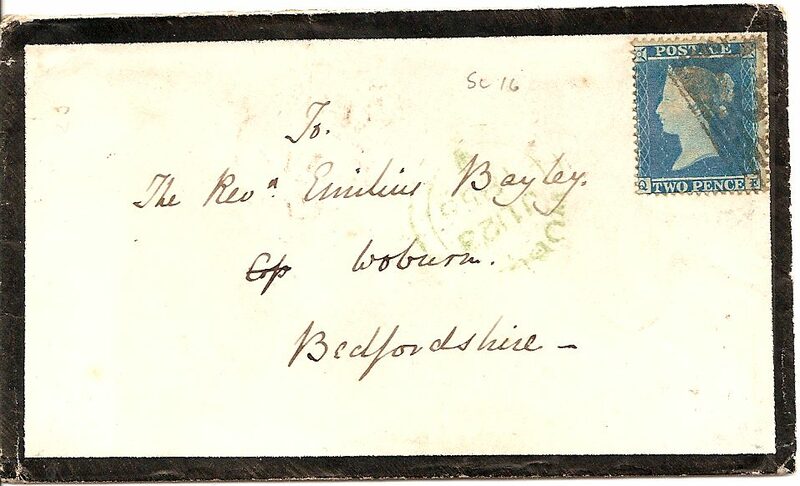 This is a twopenny star small crown 16 used in 1855 (22nd Jan) on a neat cover from Edinburgh to Woburn. The stamp has a very clear profile. On the reverse is a most unusual embossed seal: RYS NYMPH.